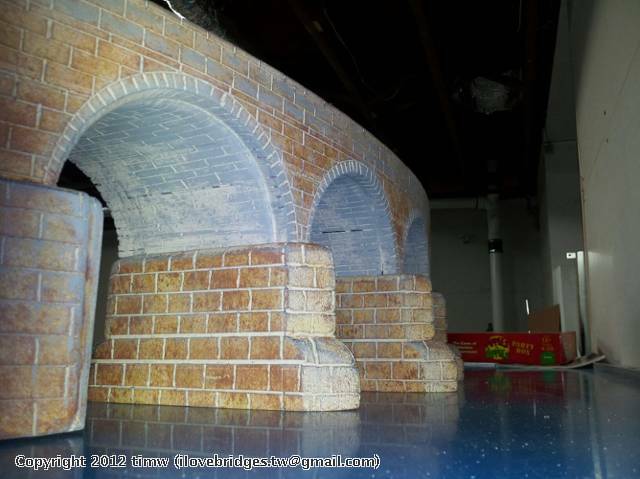 This is a five arch curved skewed arch low bridge. The following photos show it during construction, and after completion, for the most part. 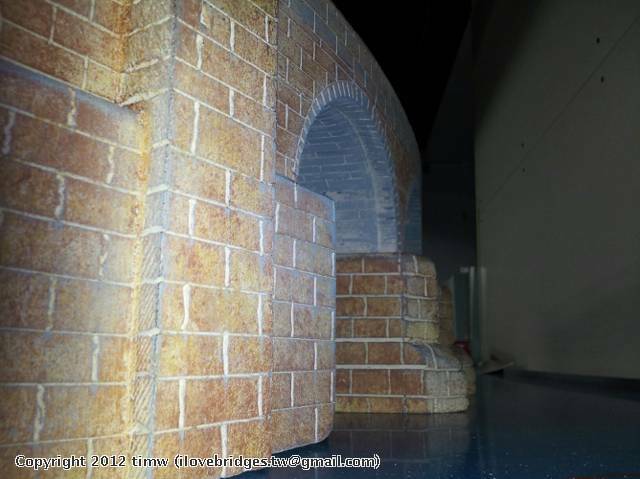 In the first photo, I still had to do the abutments, pilasters (buttresses), carve the arch barrels, and paint. It is designed for O-72" (although I noticed that O-82" RealTrax fits it as well), and the bridge is about 3-4 sections of track in length. 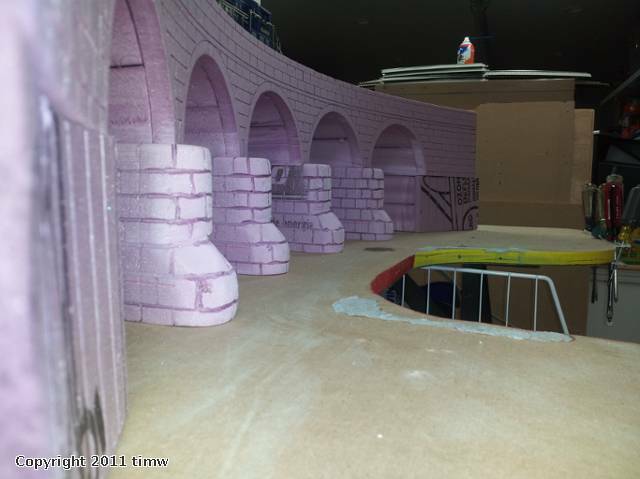 It is solid EPS building foam, which is what I prefer to make all of my bridges from. Strong as can be, yet light as a feather. I'm just about done with this bridge now, here are some photos after painting. 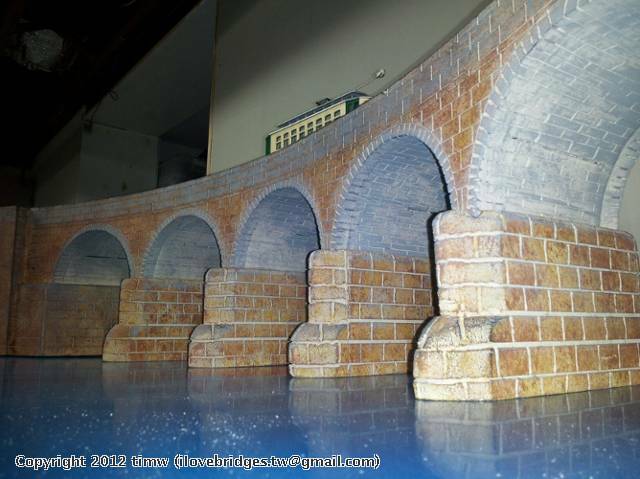 This type of bridge and various others can be purchased directly from me or built custom to fit your layout. If interested, contact me by email at ilovebridges.tw@gmail.com.